This month marks a great achievement for NASA. After more than a decade, NASA has developed their own AirBOS system, also known as their Air-to-Air Background Oriented Schlieren. This massive organization recently used its AirBOS system in order to capture the very first photographs of shockwaves that were interacting. 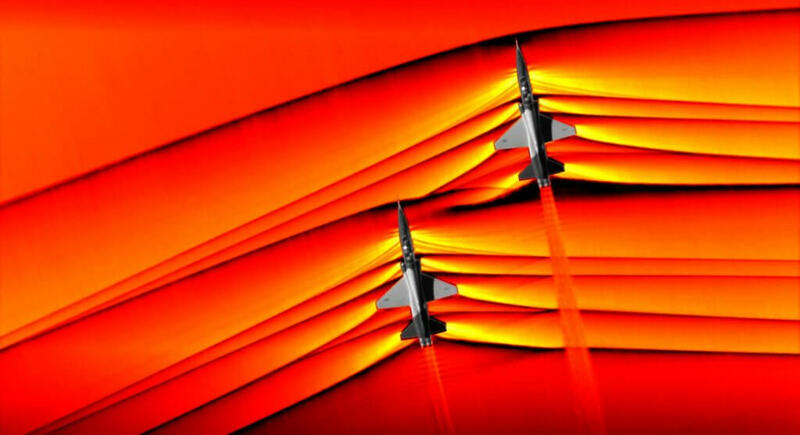 The shockwaves were produced by three supersonic jets that NASA provided specific instructions during the experiment. The photos were officially published earlier this month. Background Oriented Schlieren was the technique used during the photography of these photos, but a specialized system was used that NASA developed, based on this particular technique. The Air-to-Air Background Oriented Schlieren system has been in development by top experts at the company for more than a decade now. During this particular experiment, NASA instructed three Northrop T-38 Talon jets, both equipped with engines that can deliver speeds considered supersonic. The jets were provided with specific instructions in order to generate the perfect photos through the use of the AirBOS technique. According to NASA, the experiment took exceptional precision – the jets had to be at perfect alignment, and at the right location, flying at the right speed, and at the right time. NASA utilized a B-200 twin-turboprop aircraft, part of their research division, in order to take the photographs. The aircraft was equipped with the AirBOS system and was flown above the area where the photograph was meant to be taken. In order to produce the expected photography, the B-200 twin-turboprop aircraft was flown approximately 30,000 feet above the area where the Northrop T-38 Talon supersonic jets were to fly. The AirBOS system was equipped with an imaging system that was capable of taking 1,400 frames each second – up to three seconds in total. This means during the three-second period that the system was activated, a total of 4,200 frames were captured by the imaging system. The operations team at NASA instructed the aircraft to ensure they went at supersonic speed when they were at the right location – while also ensuring that the aircrafts remained perfectly in the appropriate formation to exhibit the desired effects that NASA tried to capture with their imaging system. The aircraft were to remain approximately 30 feet from one another for the effects to be effectively generated. 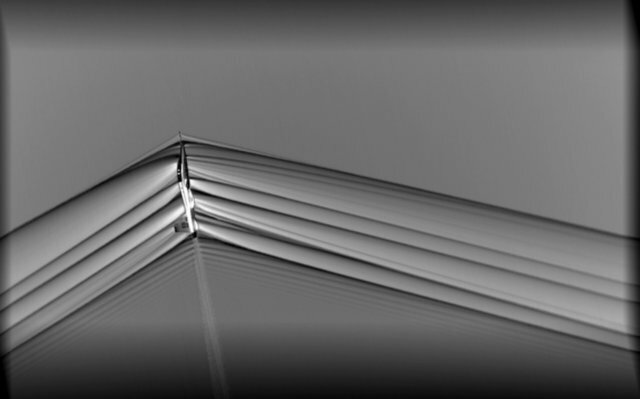 NASA explained that the idea behind the photographs was to capture a rapid change in pressure that is produced by the aircraft. These rapid changes occur due to the supersonic speed of the aircraft. The representatives at NASA continued to explain that the experiment focused specifically on capturing the effects that were generated by a merge of the shockwaves that were produced by their aircraft. The merging of these shockwaves is also what causes what is often referred to as a “sonic boom” – the sound that people would hear while standing down on the ground. The test was the first of a future series that the company will be conducted. NASA is currently working on producing a special supersonic aircraft that would be able to fly at these speeds without causing a sonic boom.